/INS. To complete the strongest safety valve portfolio in the market, we now introduce a true spring-loaded safety valve: The Alfa Laval Safety Valve. This new valve is designed to protect both equipment and people. In a potentially dangerous situation it will open at a predetermined set pressure. The compressed spring force, keeping the valve closed, is forced open when pressure builds up at the inlet of the safety valve. As these forces balance out, the valve will discharge and decrease pressure, ultimately reclosing as the system returns to normal. These safety valves protect against overpressure in tanks and pipelines caused by e.g. overfilling or fermentation processes. They also protect against implosion due to e.g. vacuum caused by cold rinsing after hot cleaning or blocking of gas supply during emptying. 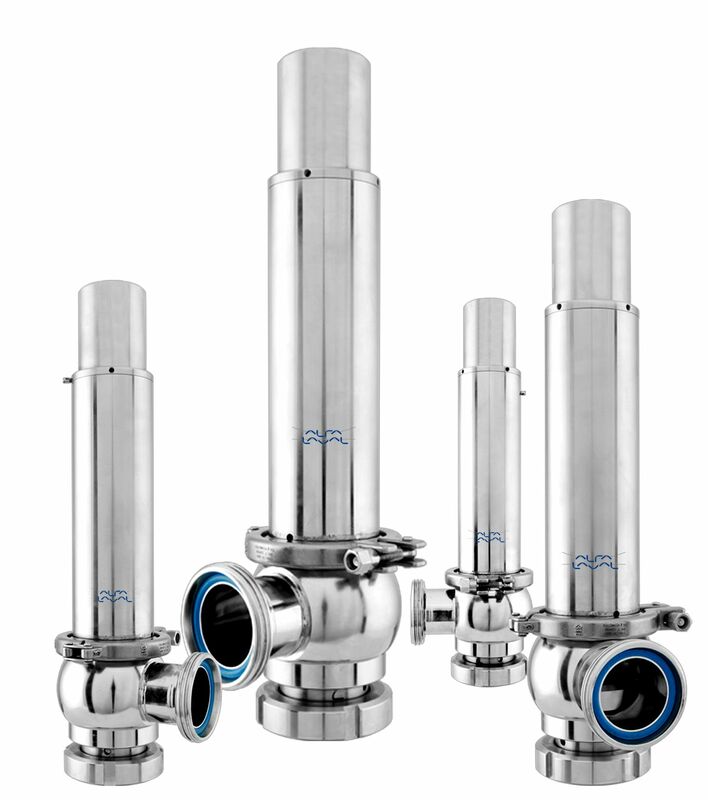 The Alfa Laval Safety Valve can be combined with the Alfa Laval SB Anti Vacuum House into a combined safety valve, protecting against both vacuum and overpressure in one hygienic valve solution with a single tank connection.